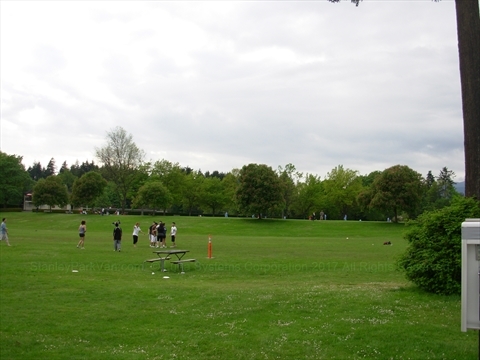 Occasionally people will play ultimate frisbee, or just 'Ultimate' as it is commonly called, on the Brockton playing fields . Ultimate frisbee is a non-contact sport where teams of players throw a frisbee among themselves with the goal of passing to a team-mate over the opposing team's goal line. Incomplete, intercepted, or out of bounds passes result in turnovers. Ultimate requires players to run a lot and to be able to accurately throw a frisbee! There are many local, provincial, national, and international events.